Glenn M. Curry joined Glinton Sweeting O’Brien as a pupil in 2016, having gained valuable working experience at local firms while pursuing his education. Glenn’s practice is focused on litigation, employment law, civil practice and procedure, personal injury, torts as well as a specialty in international arbitration. Glenn is now developing a practice focused primarily in civil litigation and trusts and estate planning. Having ably represented his law school in several international moot court competitions in countries such as The United States, England, Germany and Austria, Glenn has honed and proven his advocacy skills. 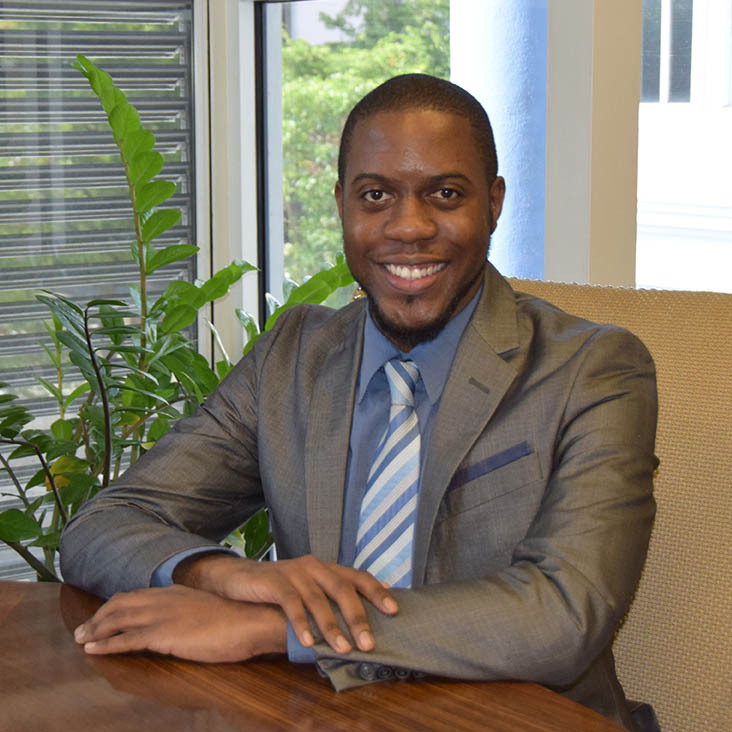 Based on his exceptional performance, he made history along with his teammates at the Eugene Dupuch Law School by being the first mooting team to advance to the International Rounds of The Munroe E. Price International Moot Court Competition. This earned Glenn both a special training in advocacy and the award for Best Performance Overall in Trial Advocacy in his class. Glenn speaks French fluently and speaks conversational Spanish. He is also learning German and Mandarin Chinese. Glenn is an active member of his church, St. Agnes, and plays both the flute and saxophone in their marching band. He also teaches music lessons to younger members of his church and the Grant’s town community. Glenn not only has a spirit for music, but is also passionate about spreading awareness of cancer and its treatment. Every year Glenn participates in the Susan G. Komen Race for the Cure.